The Law Office of Scott Ernest Wheeler is located in Claremont, California and we serve the counties of Los Angeles, San Bernardino, Orange, Riverside and San Diego. It is our goal to protect and promote the rights of individuals in the workplace. We represent employees in the public and private sectors who have suffered a wrongful employment termination, discrimination, harassment, retaliation and wage and hour violations. Help employees who have been wrongfully terminated, mistreated or harassed. Represent employees who have been denied fair pay for their work. Represent those who are victims of discrimination based on race, gender, disability, religion, sexual orientation, age and nationality. The Law Office of Scott Ernest Wheeler, has handled numerous employment-related matters, including class actions. 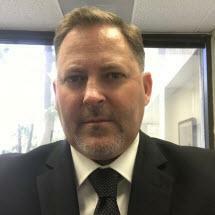 The Law Office of Scott Ernest Wheeler represent clients in the California courts, United States District Courts of California and the Federal 9th Circuit Court of Appeals. Contact our office when you believe your rights have been violated in the workplace. You will receive an honest evaluation of your case during your initial consultation.